The Cover Contessa: Please Welcome Author Annie Brewer! Please Welcome Author Annie Brewer! Today I am really excited to have my friend and author Annie Brewer on The Cover Contessa for an interview! 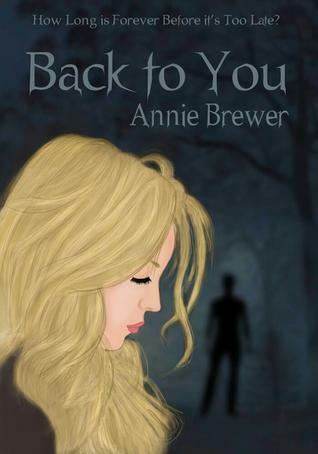 I was fortunate enough to be able to read and ARC of Annie's book Back To You before it was published. Annie Brewer(29) leads several lives. At home she's a caring mother of two with a heart of gold. 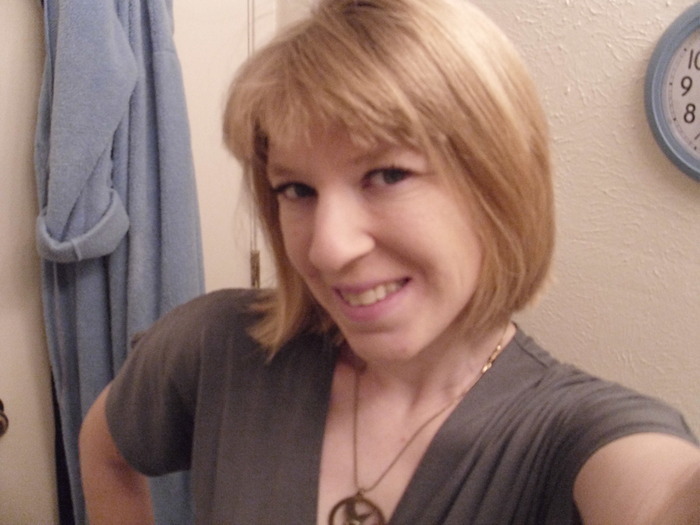 Online, she's a best friend to several and puts a smile on her many fans every time she utters a word. In her own world, she's a dreamer. But the biggest part of her is made of books, books, and more books. It's not a surprise she's turned out to be such a talented young author. Some of her many hobbies include reading, drooling over Ian Somerhalder, Channing Tatum,and Christian Grey (etc. ), reading, reviewing, reading, watching Vampire Diaries, reading, and last but not least WRITING like a maniac. She currently resides in Texas, where she dies of heat-strokes every few seconds, with her many books and book-boyfriends, and her two adorable little girls. Her new novel Back to You will be published in July of 2012. Now let's hear what Annie had to say! I guess I've always had a passion for writing, but never thought to write for a living. I constantly had fights with the voices inside my head and I now see their reason for being there. They wanted to be set free. Well, my first one was 4 months. But I would give an average of 6 months to write and edit before it's complete. It really depends on alot of things though-how much time and dedication I put in each week. I think great character development is one of the biggest part of a great story. Readers like to connect with some of the characters-especially the main ones. Also, the emotions that are used are important. I'm an emotional person and NEED to feel what the characters are going through as if I'm experiencing it myself. I think angst, suspense and plenty of romance are needed. I like stories that have alot of funny moments too. It can be serious all the time. Lately, I'm writing every chance I can get. I'm almost finished with my current project, so every spare time I have, I use it for my book. Haha, well my kids are at school during the day, I'm writing. My kids are at home, I'm writing. Do you see a pattern here? But seriously, its a struggle though I do find time to spend with them, I try to write mostly after they go to sleep. Oh my, most of my ideas come from my brain. But I've had some ideas spring up while reading a book, though it had nothing to do with it. They come to me in the shower for the most part and I get the information from the internet or other soures as needed. That once I come up with one idea and start writing it, another one follows. So I've got notebooks for each book I plan on writing, because the ideas are endless. But it's alot of fun regardless. Well, I've finished one but started 6 not counting the one I'm working on. And I honestly have to say the one I'm writing now is my favorite and it will be a trilogy. It's been a great journey so far and it's getting more intense and emotional. All of my characters possess qualities of people I know. But not one person in particular, it's more of a cluster of people. They all have their own personalities though. I like to make them unique and their own people too. My bathroom-where I can think clearly and write uninterrupted. I also like to write at a park I take my kids to play at. Being outside is great inspiration. It can be tricky, they have so many rules and restrictions-that is if you plan to publish traditionally. But self-publishing is the way to go when you have a big fanbase. Then you can have blog tours for reviewers to get the word out. Amazon, Smashwords, and Barnes & Noble are all easy to publish your books through. Thank God for ebooks. I've got the best support system. My friends are very excited and encouraging. My family are always keeping a positive attitude. My daughters are proud of me and are always talking about me being famous. One day, I tell them. I like shopping, traveling, spending my time with my loves and of course reading. I read everyday. I love getting lost in a great book, with amazing and unforgettable characters. Keep your head up and stay positive. Always follow the voices in your head, they will always guide you. Write day and night, and then write some more. Make outlines, and don't stop until you're satisfied with how the story unfolds. Always believe your writing will improve, cause it will. A vet, teacher, marine biologist(though that was short lived when I learned I had to swim in the ocean). Hire a professional artist to illustrate your cover. Hire a professional to edit. Read it over and over before sending it to the editor. EDIT EDIT EDIT before publishing. It's called Choices. Its very dramatic and angsty with romance. I'm getting to the end and really excited. It's the first book in a trilogy. That is really good advice about hiring a professional editor and a professional to do your cover design. :-) Thank you!